In August 2011 I found myself sitting with Chris Shakallis in the home of Robina Gugler, drinking tea and eating tim tams. Robina had pulled a selection of publications out from her personal stash – early 80s editions of Ripchord and Stilletto magazines/street press – and I was in heaven. Unfolding before me in these yellowed pages was the history of the Canberra I could relate to. My places, my people, just twenty years earlier. I had discovered the Canberra Punk and Beyond Facebook page earlier that year, losing countless hours as I trawled through the photos and comments. It was the Internet that introduced me to Chris, and brought me to this kitchen table. And it was our meeting that day that heavily influenced design and programming for You Are Here 2012, reintroducing the current independent Canberra to its roots. ‘A site for anyone who was there’ Chris Shakallis posted, when establishing the Canberra Punk and Beyond Facebook page in May 2011. 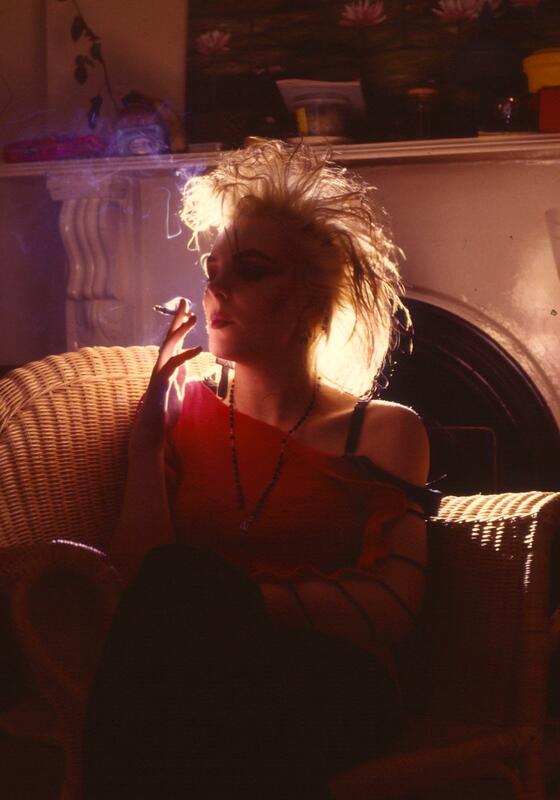 ‘There’ was the heyday of punk in Canberra, or in Shakallis’ terms: the early days of punk and garage bands in 1977 to Nirvana’s legendary gig at the ANU Bar in 1993. As it turned out, a great many were there. The photos, memories and stories started rolling in. People reconnecting, friends reuniting and lost lives being remembered. Canberra Punk and Beyond quickly demonstrated how social media can be powerfully employed around a common focus, with the page growing to become a crowd-sourced archival phenomenon that shows no signs of slowing down. The term ‘shared history’ takes on a new and entirely literal meaning – through Facebook interactions and uploads a formidable collection has been assembled, curated by those who know it firsthand, contributors spanning the continent and reaching across the globe. Images and recollections shared here are the starting point for connections, conversations and further collections off screen. The page has instigated reunions, gigs, a book, and was the starting point for this exhibition. And you don’t necessarily have to have been there – for many, Canberra Punk and Beyond acts as a window onto a Canberra that they may not have known personally but suspect and hope exists. In reading Head Full of Flames and pouring over the content online I find my own stories weaving seamlessly into those told in these pages. The venues, the band sharehouses, hanging out in Garema Place, gigs at the old Griffin Centre and Civic Youth Café, buying music from Lucy at Impact records, Narrabundah college, hair dye and doc marten boots. We are all more closely connected by these experiences than many of us would realise. I’m also now adding rapidly to a list of ‘things I had no idea about in Canberra’, like back lane cafes in Civic decades before anyone tried to emulate Melbourne, and a strong case for the fact that 1980 perhaps saw more incredible tours come through this city than ever before or since (The Birthday Party, INXS, Mental As Anything, Midnight Oil, The Saints, The Police and The Ramones JUST FOR STARTS). So it certainly doesn’t really matter to me that I wasn’t there. What does matter is that the aspects of Canberra that I love the most have always been there, and they still will be when I’m grey(er) or gone. 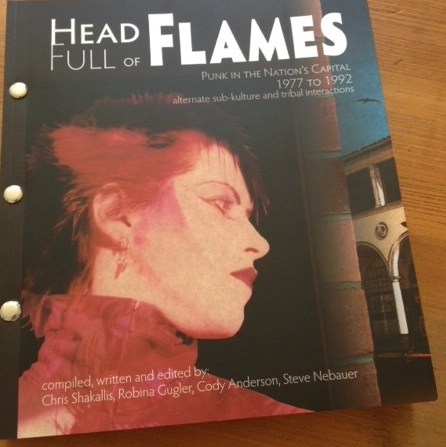 The exhibition Head Full of Flames is on now at CMAG until November 24. You can purchase the book there while you’re at it. It may not be cheap but it is hefty. Previous post:Critics Why, What For and Where Even Are You?